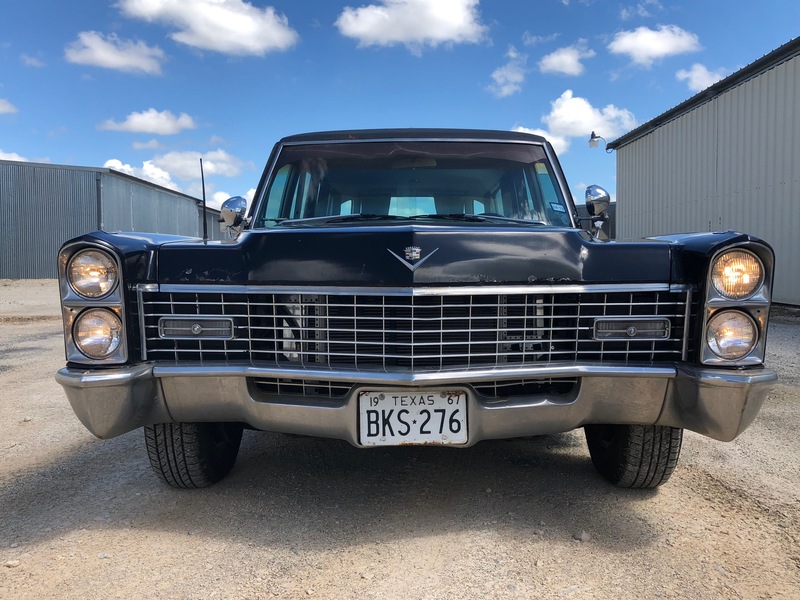 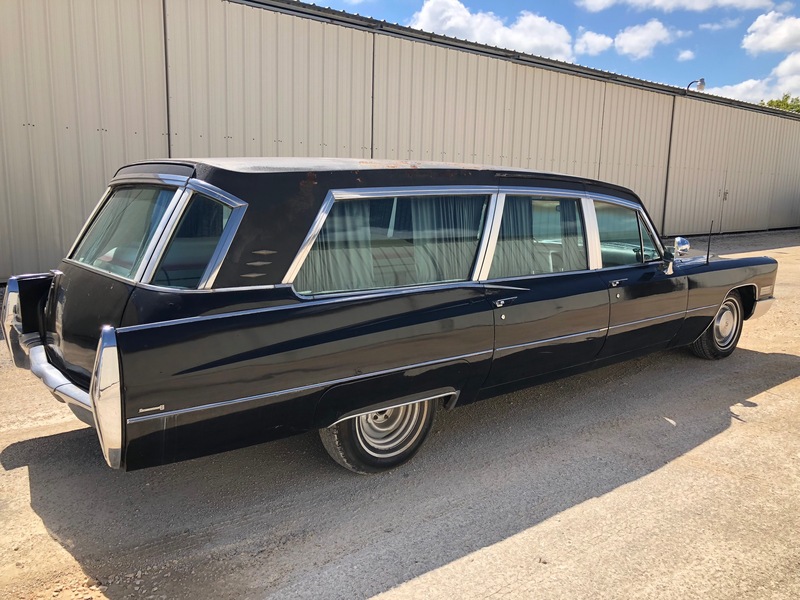 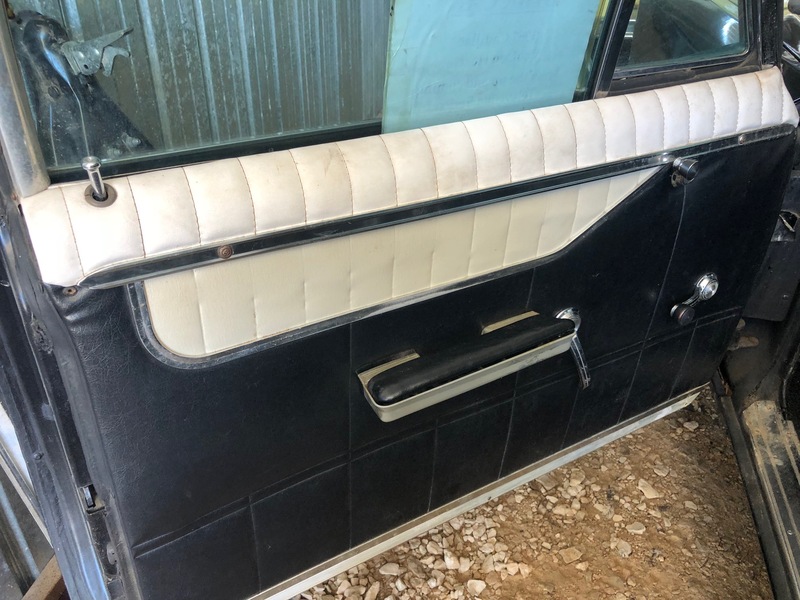 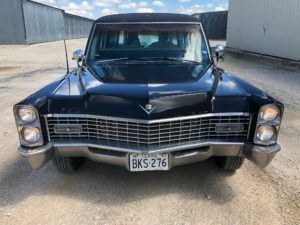 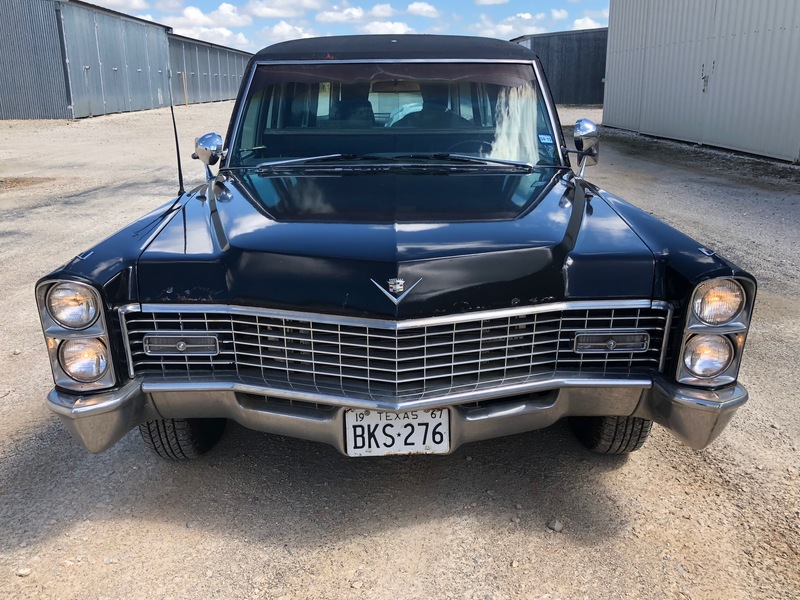 This is a 1967 Cadillac Superior Hearse. 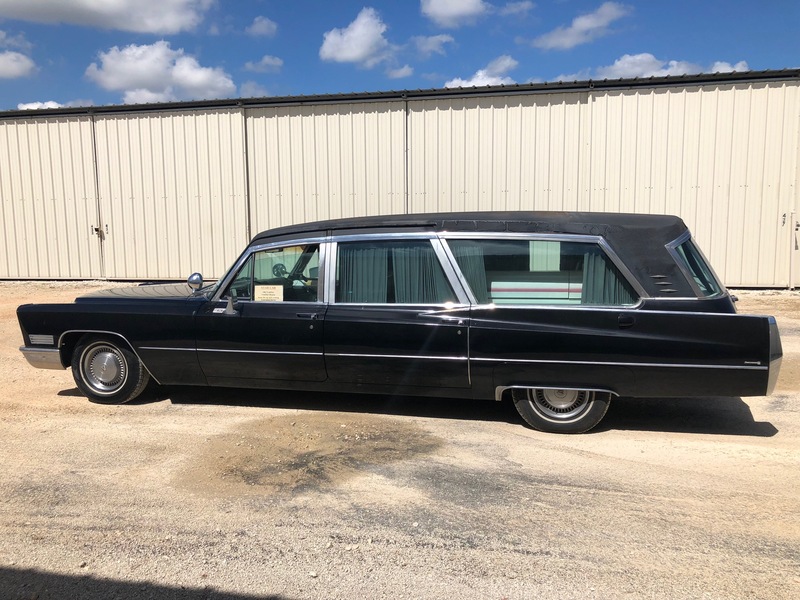 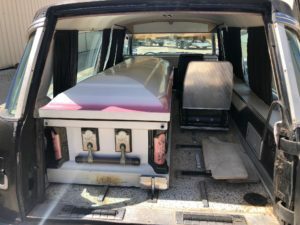 It is a rare Hearse due too its full panoramic glass. Most Hearses of this era did not have this. 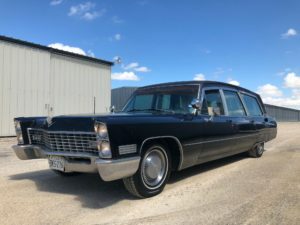 The car has a rebuilt 472 Cadillac V8, rebuilt transmission and brand new complete air conditioning that blows ice cold! 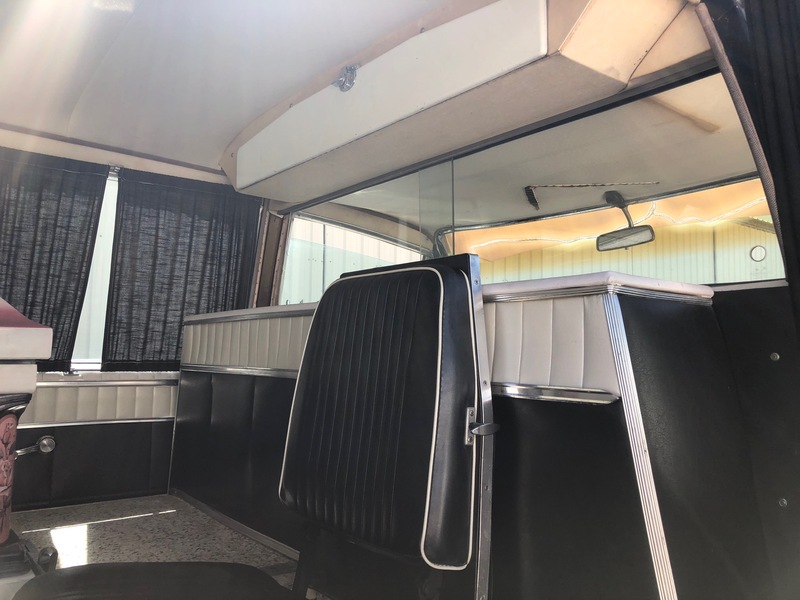 The body is very straight, and interior is really nice and the seats are great! 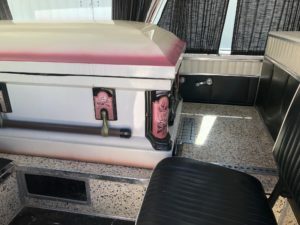 It even comes with your very own casket!!! Yes! casket. 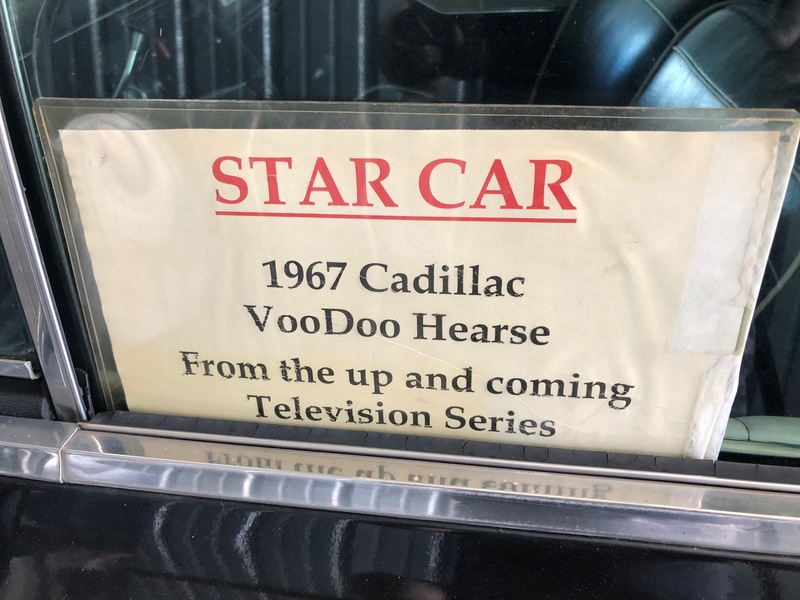 Spooky. 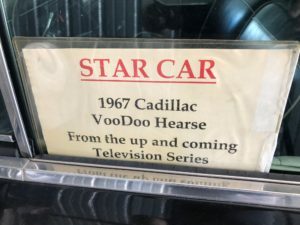 The car runs and drives very well and was said a ex movie car. 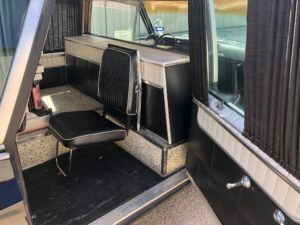 Please call Hawkeye for more details.